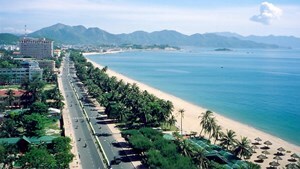 The Touris m Association of the southern central coastal province of Khanh Hoa has announced 38 local tourist destinations known for providing high quality and safe services for visitors. Last year, the provincial tourism sector made impressive progress with three million visitors, up nearly 30 percent year on year, including over 711,000 foreign arrivals, a rise of 34 percent. The sector also earned nearly VND four trillion in the year.